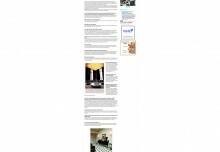 After spending his childhood in his father’s carpentry workshop, John Procario combined his love for woodworking and lighting to create a truly unique sense of design. 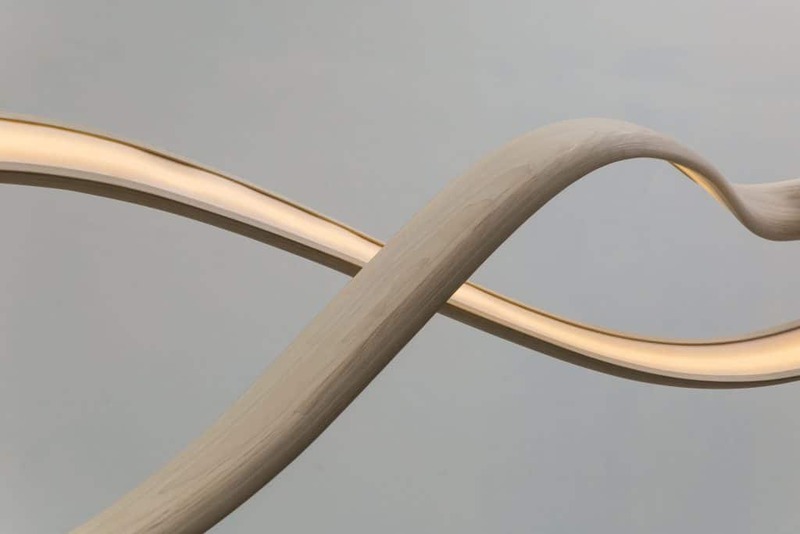 Exploring the idea of using wood as a metaphor for a body, John pushes the wood (body) to its limit through sculpture, and allowing beauty to result from being pushed to the limits. 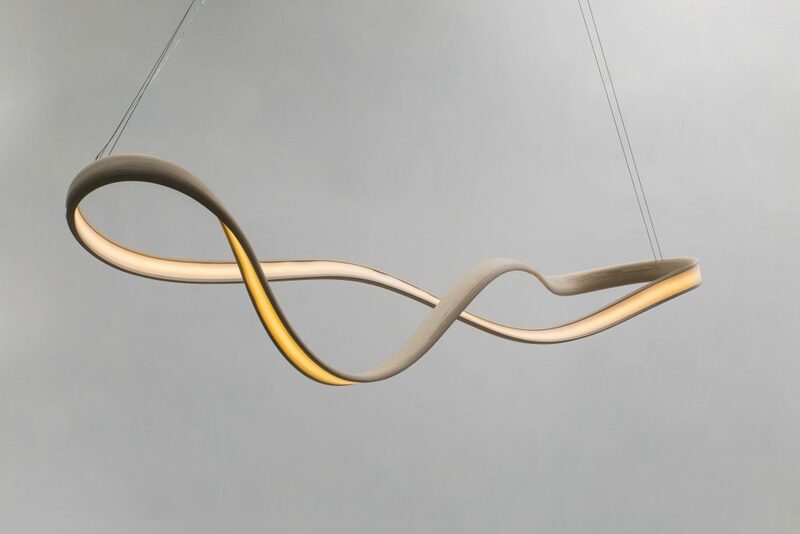 To create these lighting objects, John uses ribboned paper and twists and turns them to become a model shape. Then, he moves onto wood. 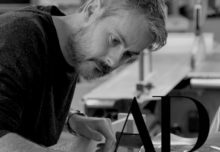 However, rather than trying to exactly emulate the paper shape, he allows the wood to direct the shape, resulting in a collaboration between wood and him. The result is the mesmerizing Freeform collection on display at Todd Merrill. 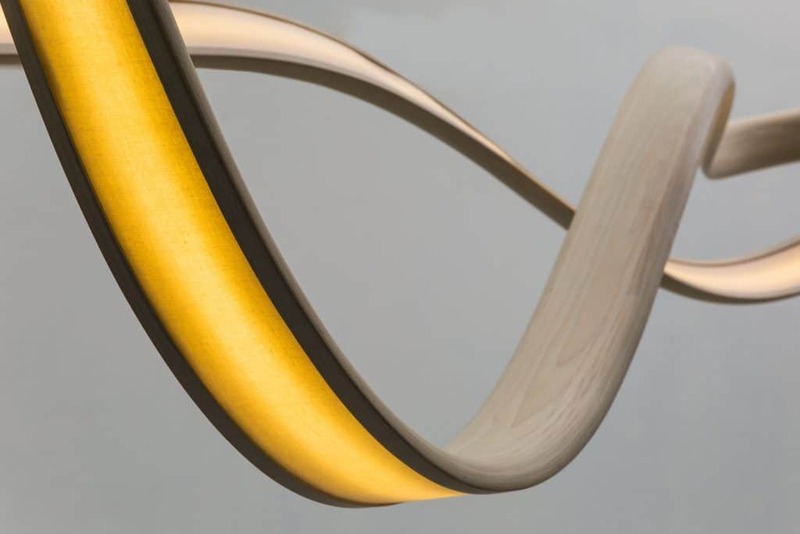 With Freeform Series Light Sculpture I, wood bends and folds into itself in a mesmerizing way, making it seem as if it’s constantly moving. 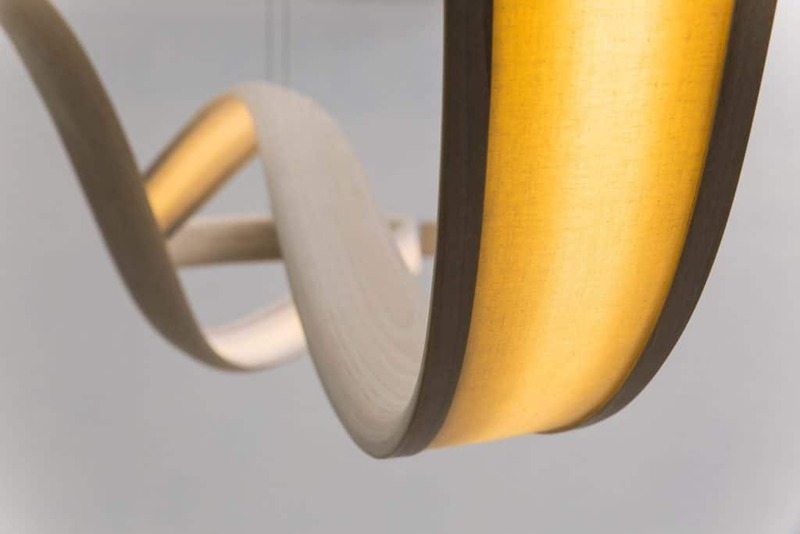 Freeform Series Light Sculpture II is a gently undulating sculpture that’s made of bleached ash, and finished elegantly with a simple white oil. Lastly, Freeform Series Light Sculpture III, continues with the similar wave-like structure of the previous two sculptures. 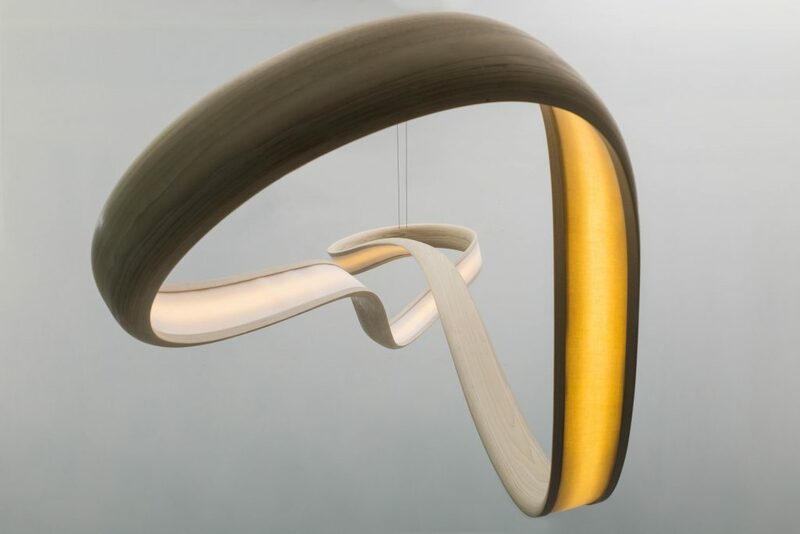 However, this one features bleached ash that’s treated with sprayed aluminum for a metallic finish and dimmable LED lights that follow the curves of the sculpture.